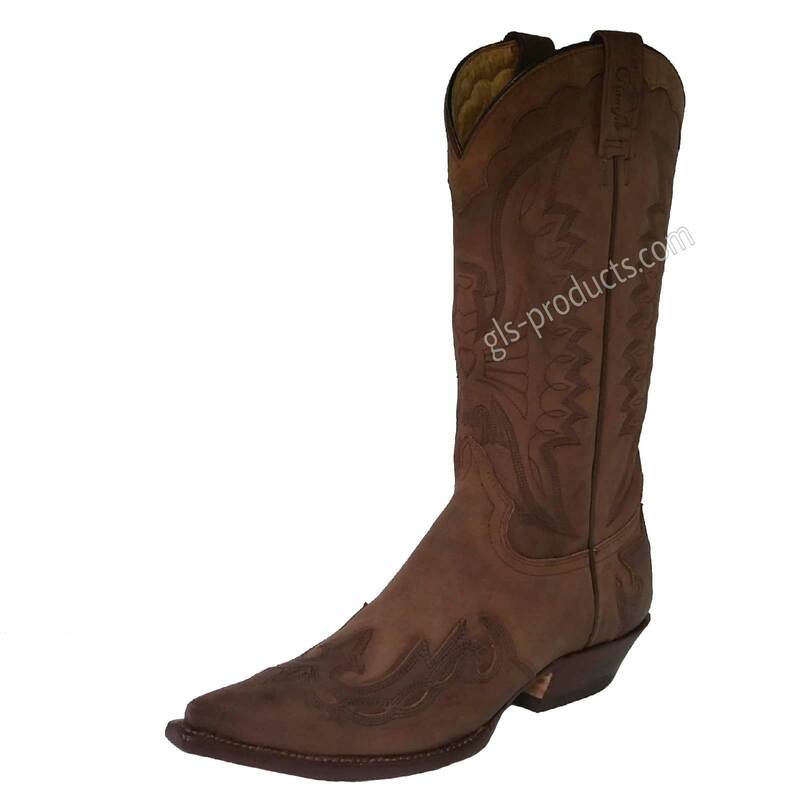 Rancho cowboy boots from supple brown nubuck leather with flame appliqués. The boots are approximately a half European size more generously proportioned. have a leather inner lining and a comfortable insole. As ever with Rancho, the Illinois model has a slightly raised, slanted cowboy heel. The connoisseur’s boots for real fans. They stand out for their reliable workmanship and great materials. The heel is made from full-grain leather - not plastic, not wood, not hollow. They are approximately half a European size more generously proportioned. There is currently no rating submitted for Rancho Illinois cz oak.